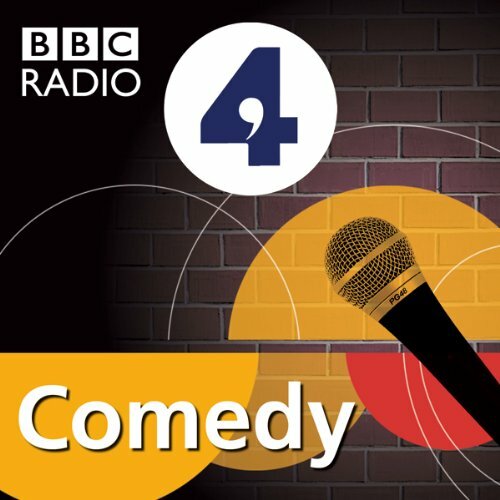 A BBC Radio 4 comedy-drama series with a stunning cast, including Sheila Hancock, Mackenzie Crook, Penelope Wilton, Felicity Montagu, and Kevin Eldon, about a small town in the middle of Northamptonshire as it prepares for a talent night. North by Northamptonshire was originally broadcast weekly from 16 June 2010 to 7 July 2010. In each episode, we catch up with Rod, the local supermarket manager (Mackenzie Crook), who shares rather more than is usual about his private life over the store's tannoy system. We get to know recently divorced Jan (Felicity Montagu) who's been trying unsuccessfully to 'find herself' with a trip abroad to an elephant sanctuary. We are also introduced to driving instructor and forthright self-defence teacher Esther (Katherine Jakeways, also the writer of this series) and her gentle and put-upon Jonathan (Kevin Eldon) as they struggle to start a family, and we meet possibly the only happy couple in town, Ken and Keith, as they attempt to teach their pet whippets to dance for the town talent night. This is a clever, funny, and touching series starring Sheila Hancock as the narrator, Mackenzie Crook as Rod, Penelope Wilton as Mary, Felicity Montagu as Jan, and Kevin Eldon as Jonathan. Also featured amongst the cast are the series' writer Katherine Jakeways, John Biggins, Rufus Wright, and Sam Cotton. Produced by Claire Jones. People are quirky, loveable, and sometimes irritating. It's fun to listen to this radio comedy set in a place where people know each other too well. I may not have laughed out loud all the way, but the humanity of this series is a fun and interesting experience. It lightens the heart. Looking forward to the other two options in the series. Seriously, BBC, you should just put it all in one audio book and you'd likely make more sales. I love this series! It is so beautifully written by the marvellous Katherine Jakeways and tenderly narrated and acted by a stellar cast. It is engaging, funny, witty, acerbic, wry and tragic - quite the emotional rollercoaster in a small English town. I want to listen to it again! I stumbled across the final ever episode of this over Christmas, really enjoyed it. Shame only this first series is available to buy.